The Memory Book is a new Hallmark Movie Channel original that will premiere on Saturday July 26th at 9/8c. The movie follows Chloe (Meghan Ory), a budding photographer who comes from a family of failed romances. At a local flea market, she stumbles upon an old photo album from the 1970s, chronicling the ideal romance of a happy couple played by Art Hindle and Adrienne Barbeau. Unable to find her own "true love," she sets out to find the couple in the album and prove that true love exists. Along the way, she meets Gabe Sinclair (Luke Macfarlane), a mysterious, but charming bartender, who seizes the opportunity to join Chloe's mission and soon finds himself falling in love with her. Thus we go on an adventure with Chloe and Gabe as they set out to find who the people are in the memory book and at the same time, they both learn something about each other. 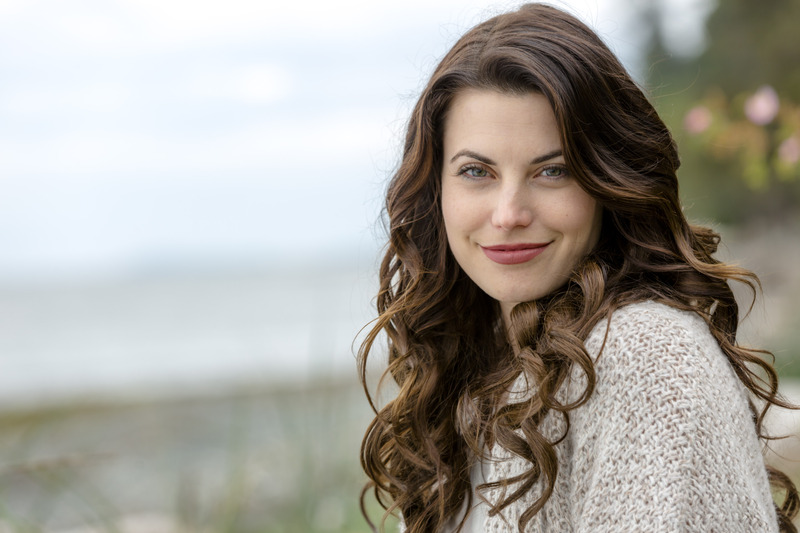 Meghan Ory was kind enough to sit down with the Pop Culture Principle to discuss her character Chloe, the adventure her character embarks on and how she too has her own memory book.